It's very rare that I get moved to hear about the death of someone I've never met, let alone only recently heard about. 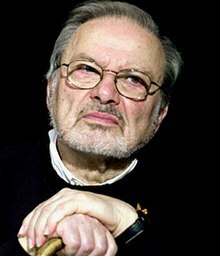 Sadly on May 8th 2012, the incredible Maurice Sendak passed away. He was the brilliant mind behind Where The Wild Things Are, but also some more important books and also the inspiration to the most popular young children's TV show, "Crack for Babies", aka "In The Night Garden". Hmm, that's a rather bold claim with no other results on Google. Let me explain. One of the most controversial (picture) books is Maurice Sendak's "In The Night Kitchen" about a young boy who dreams and is naked throughout his dream. In the extended interview (shown on the day of his passing) with Stephen Colbert, Maurice says his favourite book is the one he wrote about his Sealyham Terrier before her death, entitled "Higglety Pigglety Pop!". Now let's compare the similarities: In The Night Garden's (interesting title!) lead character is male and is the only one that is completely naked (spooky! ), and his name is Igglepiggle (seriously?!). You tell me if that isn't a huge homage to the great Maurice Sendak. So while your children are watching their Grade A TV Narcotics, or while you don't have any children, go get a copy of Maurice's greatest book (in his eyes), and I guarantee you'll cry your eyes out reading it.